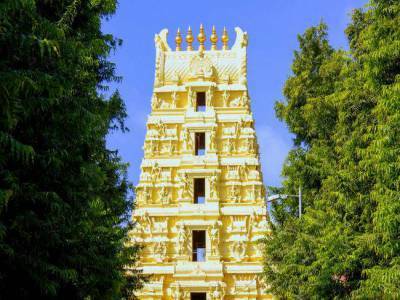 The serene town of Srisailam situated in the Kurnool district of Andhra Pradesh is a sacred seat of Lord Shiva's one of the most ancient and renowned Jyotirlinga, the Mallikarjuna Jyotirlinga. The celebrated temple is situated at the hill top of flat Nallamallai Hills by the side of the Krishna River. The hill in itself is considered to be sacred as it shoulders the sacred deities of the Mallikarjuna sanctum, Lord Shiva as one of the great twelve Jyotirlingas and the Goddess Parvati as Devi Brahmaramba. 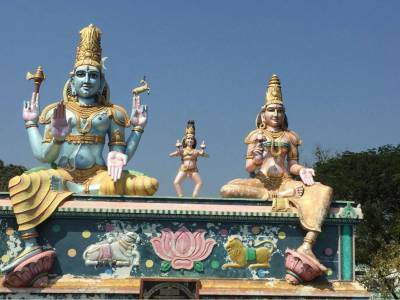 The unique feature of this Srisailam temple is the unification of two great Saivate legacies. The temple campus houses both one of the twelve Jyotirlingas as well as one of the eighteen Mahashaktipeethas, a true representation of the eternally celebrated love of Lord Shiva and His consort, lady Sati (Parvati). Legend states that in the quest to find the most suitable bride for his sons, Kartikeya & Ganesha, and who's going to get wedded first, Lord Shiva asked them to race round the world. Ganesha used his intellect and circled around his parents seven times to win the contest as shastras states seven pradakshinam is equivalent to one bhupradakshinam. Furious by the result Kartikeya ran away from home and in the quest of cajoling Kartikeya, Lord Shiva & Lady Parvati went after him and is believed to have stayed in Srisailam. Thus is the mythological importance of the temple. The temple was established during the reign of Satvahana Dynasty in around 200 AD and it is made architecturally sound and glorified with historical carvings and scriptures during the Vijaynagara Period under the King Harihara. 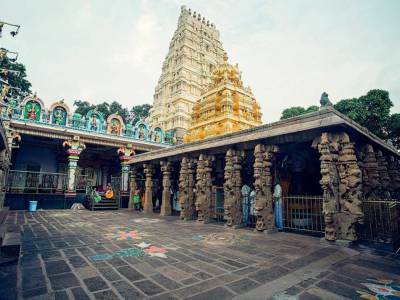 The temple campus is encircled with many small temples with the centre being the sanctorum of Mallikarjuna Jyotirlinga; jasmine decorated Jyotirlinga of Lord Shiva. The temple is east facing with grand scripture stacked above one another. There are thousand lingas of the God and the first hall has the picture of the Nataraj. 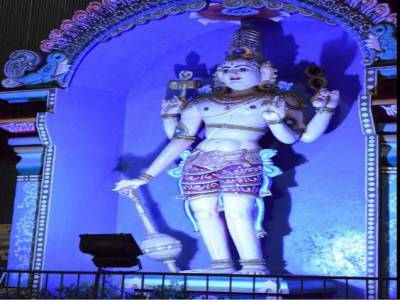 The whole of Srisailam is decorated with most pomp and galore during the Mahasivratri and during the Navaratris. This 252 KM drive from Hyderabad through the picturesque Eastern Ghats to this one of a kind Saivate Pilgrimage destination is truly a divine journey for everyone. Its one of the most renowned Jyotirlinga of lord Shiva. Historic Hindu temple complex on a hill with multiple shrines, sculptures & festivals. Tripnetra provides free information about Srisailam Temple, Pooja tickets Booking, Temple timings, Other Poojas, Sevas, Location etc. and 30% assured Off on every Booking. 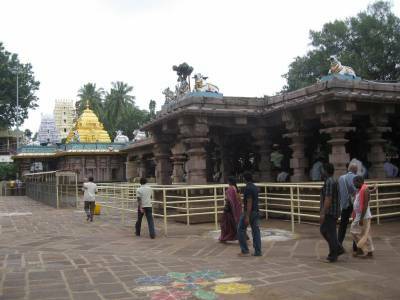 Get quick answers from travelers who visit to Mallikarjuna Jyotirlinga.